For most people, debt isn’t something they planned. For most people, one minute they were managing to pay all their bills every month, even if sometimes it was a bit of a stretch. The next minute, they had to start making decisions about which bills they could afford to pay and which bills they couldn’t. They find themselves falling behind on gas or electricity bills or have stopped paying their council tax bills. Does that sound like you? Have you had to start doing things like ignoring your council tax bills because you just can’t afford to pay them? Unfortunately, there are serious consequences if you ignore your council tax bills – you could even end up with the bailiffs at the door. However, there are things you can do to get back control and avoid a visit from the bailiffs. We’ll tell you more about what you can do if you cannot pay your council tax bill in this article. But if you’d like to speak to someone to get free advice and support about your situation now, call us today on 0300 302 1806. If you can’t pay your council tax, ignoring your council tax bills may seem like one way of dealing with the situation. But it is never a good idea because the bills will not go away. You’ve probably heard that if you can’t pay your council tax, you can expect a visit from the bailiffs where they collect some of your possessions to sell to repay your debt. It’s certainly true that the thing that many people who can’t pay their council tax fear the most is a visit like this. But did you know that bailiffs (or enforcement agents, which is their official name) have several other powers to try to collect the money from you apart from carrying out ‘exceptional attachment’ (the official term for them collecting your possessions to sell)? For example, bailiffs can have an attachment of earnings order put in place. This means that money can be deducted directly from your pay packet until the debt has been repaid. If you are unemployed or receive benefits such as Employment and Support Allowance, Income Support, Jobseeker’s Allowance, Pension Credit or Universal Credit, bailiffs can arrange for money to be taken directly out of those. All these things sound very scary – and they are. But it is important to know that calling in the bailiffs is the last resort for councils trying to collect unpaid council tax. In fact, bailiffs can only be appointed after your council has tried to collect the money from you in other ways. These ways are all laid out in law. So if you have been ignoring your council tax bills because you can’t afford to pay them, now is the time to take action before it gets to the point before the bailiffs can be called in. Read on to find out what you can do. If you are struggling to pay your council tax bills, the best thing you can do is contact your council to tell them. You can negotiate with them to put a repayment plan in place. It is important to make sure you can afford to keep up the payments you agree with them. If you won’t be able to afford the payments, you will find yourself falling behind again and having to deal with all the stress and worry that comes with it. To make sure you can afford to make the payments you agree with your council, arm yourself with the information you need before you contact them. Do this by drawing up a budget and working out what you can afford to pay. If you would like help with this, call us today on 0300 302 1806. We help hundreds of people a day so we’ve got the experience to help you draw up a budget and work out what payments you can afford. We can also negotiate with your council on your behalf so you don’t have to deal with this. All the help we offer is free of charge so you’ve got nothing to lose by calling us. 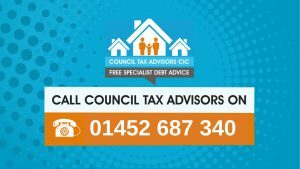 If you haven’t been paying your council tax bills because you are having to deal with lots of other debts, arranging a repayment plan with your local council may not be the solution you need. You might need to look at how you can get all your debts under control at once. There are a few different ways to do this. There are Individual Voluntary Arrangements (IVAs), Debt Relief Orders (DROs) and there is bankruptcy. The one that is right for you will depend on your circumstances. We can help you decide which one you need. When you take the first step towards getting control of your debts all at once, you will feel a huge weight lifting from you because you will be starting the process of stopping the stress of being in debt. Call us today on 0300 302 1806. For most people, it was something unexpected that caused their circumstances to change and for them to have fallen into debt. It might have been an unexpected large bill. It might have been redundancy or a long term illness. Whatever it was, they find themselves going from someone who was in control of their finances to someone who wasn’t. If that sounds like you, the chances are that you’re feeling lonely, scared and out of control. It’s time to start taking back control by contacting Council Tax Advisors. We will give you practical help and invaluable advice to help you get back on track. We don’t charge for any of our services, so take the first step today – call us on 0300 302 1806.